In the wake of the disastrous Crimean War, the Russian autocracy completely renovated its most basic social, political and economic systems by emancipating some 23 million privately-owned serfs. This had enormous consequences for all aspects of Russian life, and profound effects on the course of Russian history. 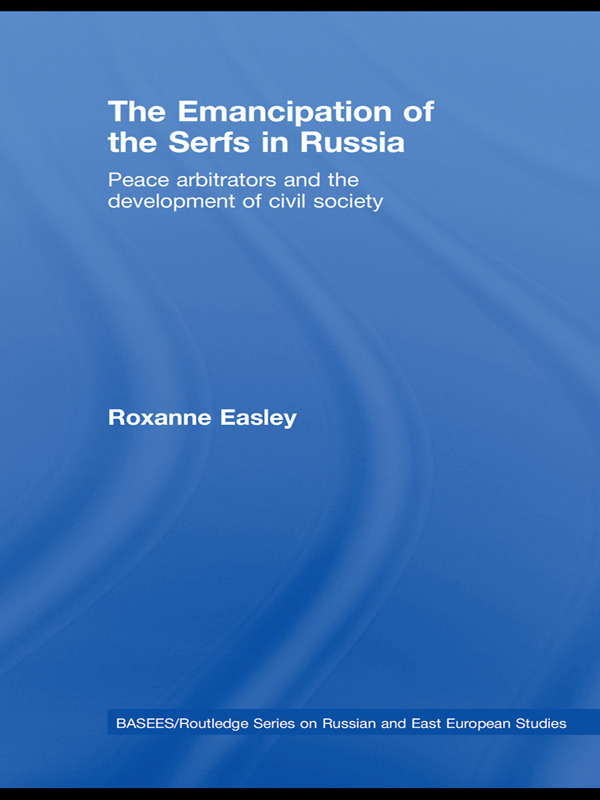 This book examines the emancipation of the serfs, focusing on the mechanisms used to enact the reforms and the implications for Russian politics and society in the long term. Because the autocracy lacked the necessary resources for the reform, it created new institutions with real powers and autonomy, particularly the mirovoi posrednik, or 'peace arbitrator'. The results of this strategy differed in practice from the authorities’ original intentions. The new institutions invigorated Russian political life, introduced norms that challenged centuries-old customs and traditions, and fostered a nascent civil society, allowing Russia to follow the basic trajectory of Western European socio-political development.